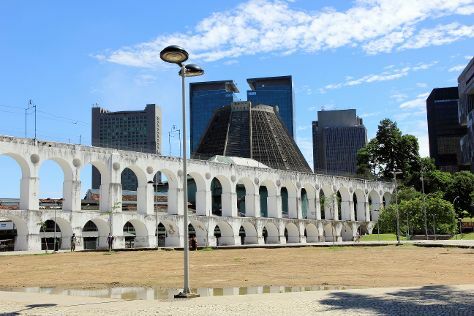 Start off your visit on the 13th (Thu): tour the pleasant surroundings at Pedra do Arpoador, then explore the activities along Rodrigo de Freitas Lake, then enjoy breathtaking views from Mirante Dona Marta, and finally explore the world behind art at Centro Cultural Banco do Brasil - CCBB Rio de Janeiro. 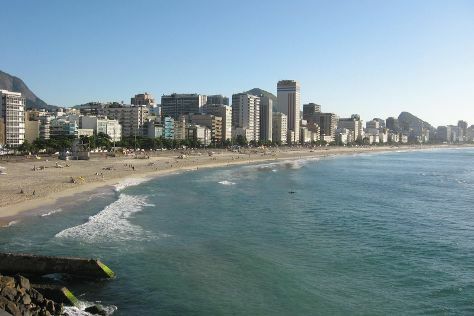 Here are some ideas for day two: take in the local highlights with Walking tours, take some stellar pictures from Leblon Beach, take in panoramic vistas at Mirante Do Leblon, then see the interesting displays at Instituto Moreira Salles, and finally don't miss a visit to Maua Square. To see more things to do, reviews, maps, and other tourist information, you can read our Rio de Janeiro tour planning website . Curitiba to Rio de Janeiro is an approximately 2-hour flight. You can also take a bus; or drive. Plan for somewhat warmer temperatures traveling from Curitiba in June, with highs in Rio de Janeiro at 30°C and lows at 22°C. On the 15th (Sat), you'll have the morning to explore before heading off to Rio de Janeiro. You'll explore the less-touristy side of things at Museu Historico do Exercito e Forte de Copacabana and Mirante da Prainha. You'll find plenty of places to visit near Rio de Janeiro: Petropolis (Catedral de Sao Pedro de Alcantara & Museu Casa de Santos Dumont). 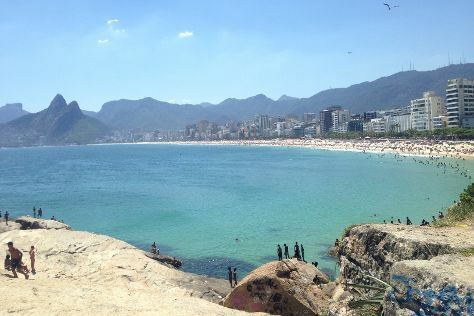 Enjoy Rio de Janeiro some more: get great views at Leblon Beach, enjoy breathtaking views from Vista Chinesa, take your sightseeing to a higher altitude at Pedra da Gavea, and contemplate the waterfront views at Rodrigo de Freitas Lake. For where to stay, other places to visit, traveler tips, and tourist information, use the Rio de Janeiro trip itinerary maker website . Wrap up your sightseeing on the 18th (Tue) to allow time to travel to Panama City. Kick off your visit on the 18th (Tue): make a trip to Plaza Bolivar, pause for some serene contemplation at Iglesia de San Francisco de Asis, then get engrossed in the history at Museo del Canal Interoceanico de Panama, then make a trip to Panama Canal, and finally test your team's savvy at popular escape rooms. To find maps, where to stay, more things to do, and other tourist information, read our Panama City day trip planning website . You can fly from Rio de Janeiro to Panama City in 10.5 hours. You'll gain 2 hours traveling from Rio de Janeiro to Panama City due to the time zone difference. Traveling from Rio de Janeiro in June, things will get somewhat warmer in Panama City: highs are around 36°C and lows about 29°C. Finish your sightseeing early on the 18th (Tue) so you can travel to Lima. Discover out-of-the-way places like Iglesia y Convento de San Francisco and San Isidro. Venture out of the city with trips to Balneario La Punta (in Callao) and Huaral (Complejo Arqueologico de Rupac & Reserva Nacional Lomas de Lachay). There's still lots to do: delve into the distant past at Huaca Pucllana, take a stroll through Barranco, take in the spiritual surroundings of Church and Sanctuary of Saint Rose of Lima, and don't miss a visit to Miraflores. For where to stay, more things to do, photos, and more tourist information, read Lima online vacation planner . Traveling by flight from Panama City to Lima takes 8.5 hours. Plan for a bit cooler temperatures traveling from Panama City in June, with highs in Lima at 24°C and lows at 20°C. You'll have a few hours on the 23rd (Sun) to wrap things up before traveling to Huaraz. One of the main cities in the Peruvian Andes, Huaraz mainly draws those seeking adventure out in the landscape. Eschew the tourist crowds and head to Archaeological Site of Chavin and Callejon de Conchucos. Change things up with these side-trips from Huaraz: Chavin de Huantar (Nevado Huantsan & Chavin National Museum), Huascaran National Park (Laguna Chinancocha, Duck Canyon, & more) and Carhuaz (Main Plaza & Mirador Punta Olimpica). And it doesn't end there: take in the spiritual surroundings of Iglesia La Soledad, hike along Laguna Wilcacocha, stroll the grounds of Cementerio General Presbitero Villon, and head outdoors with Infinite Adventures. To see ratings, traveler tips, more things to do, and tourist information, go to the Huaraz travel itinerary planner. Getting from Lima to Huaraz by flight takes about 2 hours. Other options: drive; or do a combination of flight and car. Expect a bit cooler evenings in Huaraz when traveling from Lima in June, with lows around 7°C. 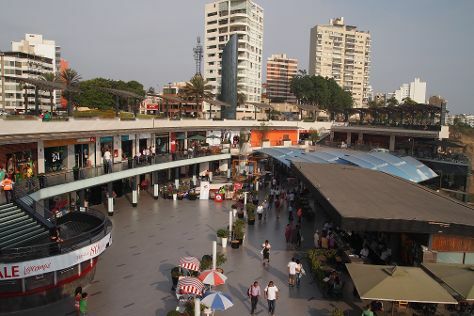 Wrap up your sightseeing on the 6th (Sat) to allow time to travel to Lima. On the 6th (Sat), wander the streets of Miraflores, shop like a local with Shopping Center Larcomar (Centro Comercial Larcomar), then take in the views from Bridge of Sighs, and finally see the interesting displays at National Museum of Archaeology, Anthropology and History. To see photos, more things to do, reviews, and other tourist information, read our Lima driving holiday planner . Traveling by flight from Huaraz to Lima takes 2 hours. Alternatively, you can drive; or do a combination of car and flight. Traveling from Huaraz in July, you will find days in Lima are slightly colder (22°C), and nights are a bit warmer (19°C). Cap off your sightseeing on the 7th (Sun) early enough to travel to Panama City. Kick off your visit on the 7th (Sun): make a trip to Plaza Bolivar, then don't miss a visit to Panama Canal, then contemplate in the serene atmosphere at Bahai Temple, and finally test your problem-solving skills at popular escape rooms. To find other places to visit, maps, where to stay, and tourist information, refer to the Panama City travel planner . Fly from Lima to Panama City in 8.5 hours. While traveling from Lima, expect much hotter days and a bit warmer nights in Panama City, ranging from highs of 36°C to lows of 29°C. Wrap up your sightseeing on the 7th (Sun) early enough to travel to Rio de Janeiro. To find reviews, where to stay, other places to visit, and other tourist information, read Rio de Janeiro travel planner. Traveling by flight from Panama City to Rio de Janeiro takes 10.5 hours. You'll lose 2 hours traveling from Panama City to Rio de Janeiro due to the time zone difference. Traveling from Panama City in July, things will get slightly colder in Rio de Janeiro: highs are around 30°C and lows about 22°C. On the 8th (Mon), you'll have the morning to explore before heading off to Curitiba. To find reviews, more things to do, ratings, and more tourist information, you can read our Curitiba trip itinerary builder . Traveling by flight from Rio de Janeiro to Curitiba takes 2 hours. Alternatively, you can take a bus; or drive. Plan for slightly colder temperatures traveling from Rio de Janeiro in July, with highs in Curitiba at 22°C and lows at 11°C. Finish your sightseeing early on the 8th (Mon) so you can travel back home.